This review was prepared by Blair Mathis from LaptopLogic.com where you can read more about laptop headphones and other cool laptop accessories. Sennheiser is known as one of the top makers of headphones. 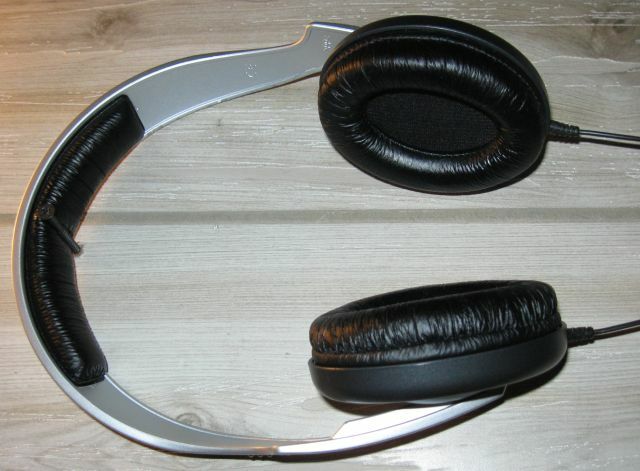 The company consistently produces high-quality headphones that often exceed other, higher-priced headphones in the same category. 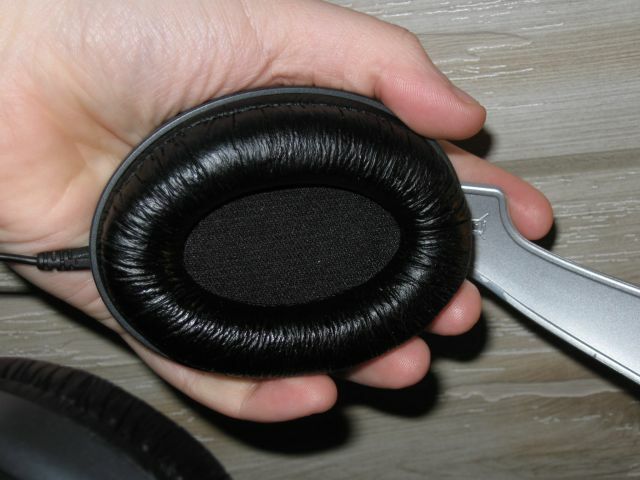 One such pair of headphones is the EH-150 closed-cup over-ear headphones. These headphones are officially priced at $69.95, but can be bought new for $25 including shipping off Amazon.com. 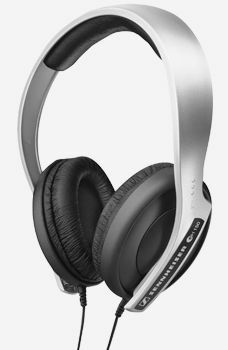 There are two things you will realize after putting on the Sennheiser EH-150 headphones--that they are uncomfortable and sound amazing. Luckily, the discomfort that comes from wearing these headphones disappears after a few hours of use. The headband is originally tight, making it feel as if your head is trapped between two tight clamps. However, this tightness is actually a good thing, as the plastic headband will adjust itself to fit your head perfectly--not too tight, but not too loose. Once this happens, the headphones can be worn for hours without even realizing they are there. The EH-150 are made entirely of plastic, with a thick piece of leatherette and cushion underneath the headband and around the ear cups. The cushion is thick and durable, while the plastic is strong. I've stretched these things a great deal without breaking. They managed to survive a backpacking trip while stuffed in an overfilled bag and the cargo in an airplane. If anything, they are durable. Aside from the physical aspects of the headphones, there's sound quality. The sound quality from these headphones is very good--in fact, they sound better than other headphones I've paid twice the amount for. The treble is clear and loud, but on the flip side, the bass is very strong in these cans. You can hear the bass rumble on the low end, or feel it beat and thump as if you were sitting between subwoofers. There's no muddiness of sound. Everything is clear and distant and easy to hear. When listening to music on these headphones, it is worth listening to high-quality FLAC music. You will be able to hear mistakes in songs and any ambient noise that doesn't below, making them a good choice for home recording, also. These headphones are high-quality with a low price. They are lightweight and durable, easy to pack in a bag or carry around the neck. If you need a pair of low-cost headphones that sound good and hold up to daily use, the Sennheiser EH-150 is a good choice. I give the Sennheiser EH-150 headphones a 7/10. How does the EH 150 compare with the HD 202? Both look similar and cost almost same! I was with doubts between the HD201 and these EH150. The review from 2006 gave 9/10 to HD201. Are they a better choice than EH150? No, the cables can't be detached.